Evidence indicate that Small and medium enterprises (less than 250 employees) are “the life blood of modern economies”. However, globalisation of markets, the liberalisation of trade, deregulation, and the knowledge economy, are all interrelated phenomena which pose new challenges to small and medium enterprises (SMEs). Employees leave, customers come and go, and their knowledge leaves with them. This knowledge drain costs time, money and customers for the organisations. Hence, adopting knowledge capture strategies in SMEs will help to identify and disseminate knowledge of employees and customers, thereby enabling a sustainable competitive advantage for organisations. However, SMEs are less endowed in human, financial, technological and training resources than large organisations and therefore are restricted in their adoption of comprehensive strategies. 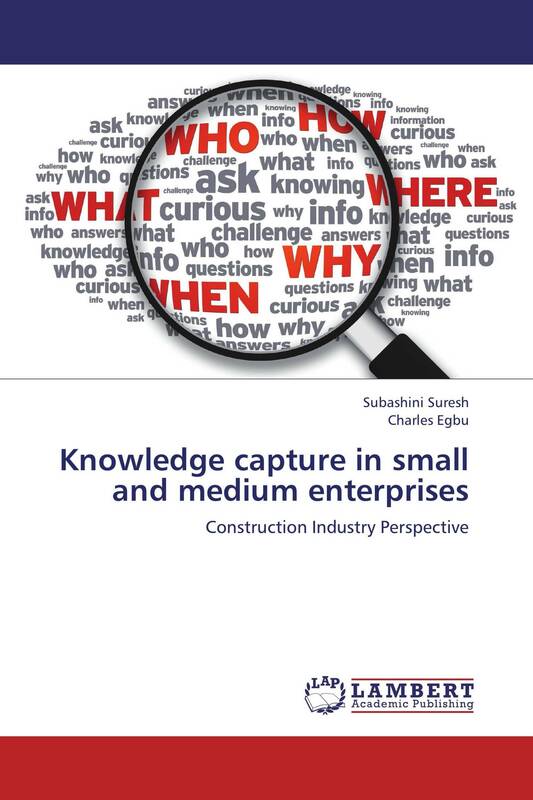 The aim of this book is to facilitate knowledge capture initiatives for improved competitiveness in SMEs in the construction industry.